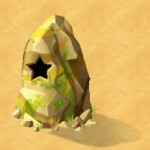 Most islands in My Tribe start with either a Starstone or a Moonstone, and both are solved in similar ways. Since Stardust is used for so many things, it would be a shame not to solve this right away. No doubt by now you’ve already used some stardust on one of your tribesmen. Grab ahold of that that person and drop him on top of the stone. 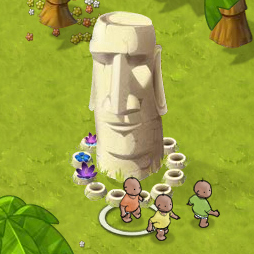 You may have to do it once more until you get a message that says that your tribesman reaches into the hole and touches a mechanism inside. At that point, you will need to use 3 stardust in rapid succession. The star will look as though its filling up. When its full, the mystery will be unlocked and more stardust will fall on your island!